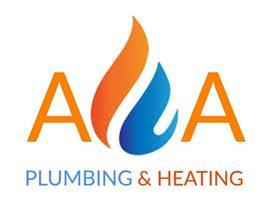 A A Plumbing & Heating (Essex) Ltd - Bathrooms, Drain/Sewer Clearance, Kitchens, Plumber based in Benfleet, Essex. Hi, my name is Adem. I have been in the Plumbing and Heating industry for over 10 years with a wide range of experience in all aspects of plumbing & heating. We are a family run business which means all our engineers are highly skilled registered professionals delivering outstanding quality services on all plumbing works in accordance with the national standards and all relevant building regulations. We provide professional and excellent plumbing services around Essex and London. Our work is carried out by fully experienced engineers. We guarantee all of our clients a high standard of service whether we are fixing a leaky tap to a larger installation. Call us today on 07960 214033 for reliable honest advice and a FREE no obligation estimate on any Plumbing enquiry. For more reviews, pictures and information about my company please see my Facebook page. Kent, Basildon, Benfleet, Canvey Island, Chelmsford, Essex, Hadleigh, Ilford, Laindon, Leigh on Sea, Pitsea, Rayleigh, Romford, South Woodham Ferrers, Southend, Thundsley, Thurrock, Westcliff.